Product prices and availability are accurate as of 2019-04-17 13:39:58 UTC and are subject to change. Any price and availability information displayed on http://www.amazon.com/ at the time of purchase will apply to the purchase of this product. 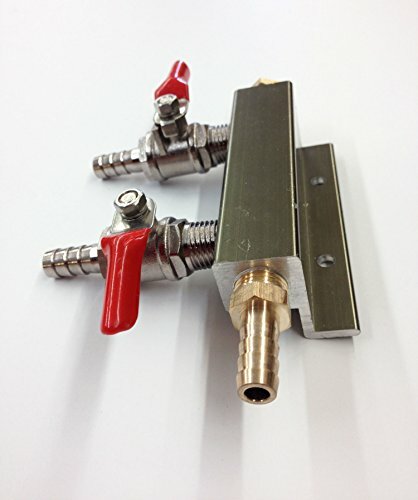 Distribute CO2 from one air tank to two separate kegs with this draft beer system enhancer. Each distributor has a shut off valve to turn off the beer gas distribution when your system isn't in use or you're changing a keg. 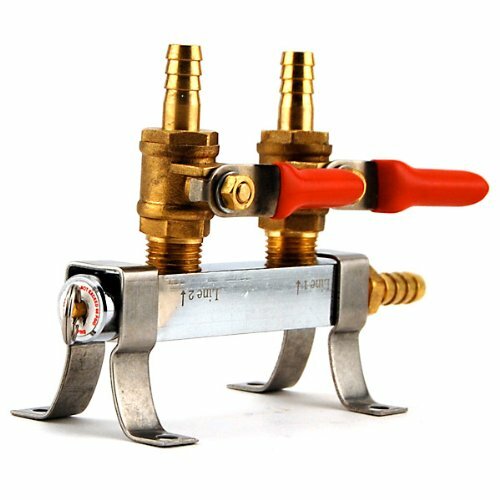 Made of brass, it's the easiest way to split air line in a multi-tap draft system. In stock and ready to ship. Features: Distributes CO2 to up to 2 kegs. Shut off valve for each line. Made of brass. 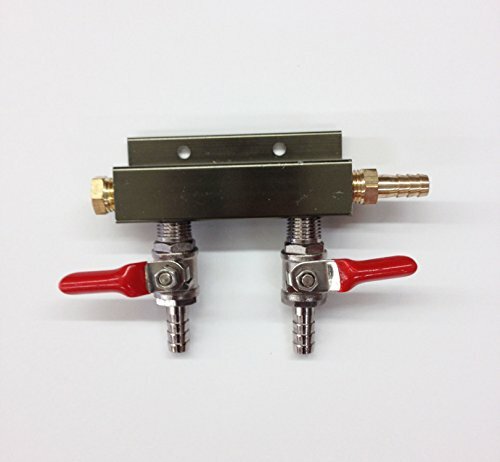 3/8" outside diameter barbed outlet and inlet fittings (fit 5/16 inside diameter gas hose). Shut offs have built in one way check valves. 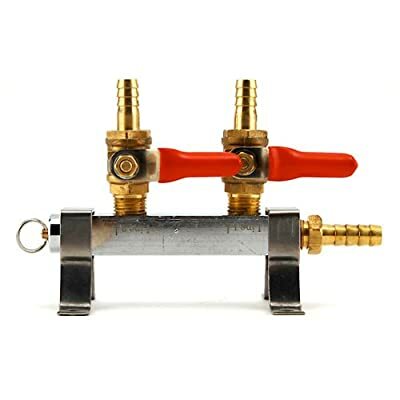 Specs: Dimensions: 6 3/4"W x 4 3/4"H x 1 1/2"D.
Use to distribute CO2 from one air tank to 2 separate kegs. Each distributor has separate shut off valve to stop air supply when not in use. Distribute air to 1 or 2 kegs at once using the same air tank. Made of brass. A great addition to your home draft beer system.